When Winnipeg opened our Outlet mall last year, I went on opening day but, I’ll admit, not with much enthusiasm. I already felt like brick & mortar retail was suffering and didn’t think that adding more stores was going to help. You know I’m a big fan of a good deal but I tend to shop consignment or thrift when thriftiness is the need. But, I am Style Hunter Fox and I needed to give Winnipeg my take on the new digs in town. So I wandered the shiny new halls hoping that I would find what I’m always looking for, something unique and new. 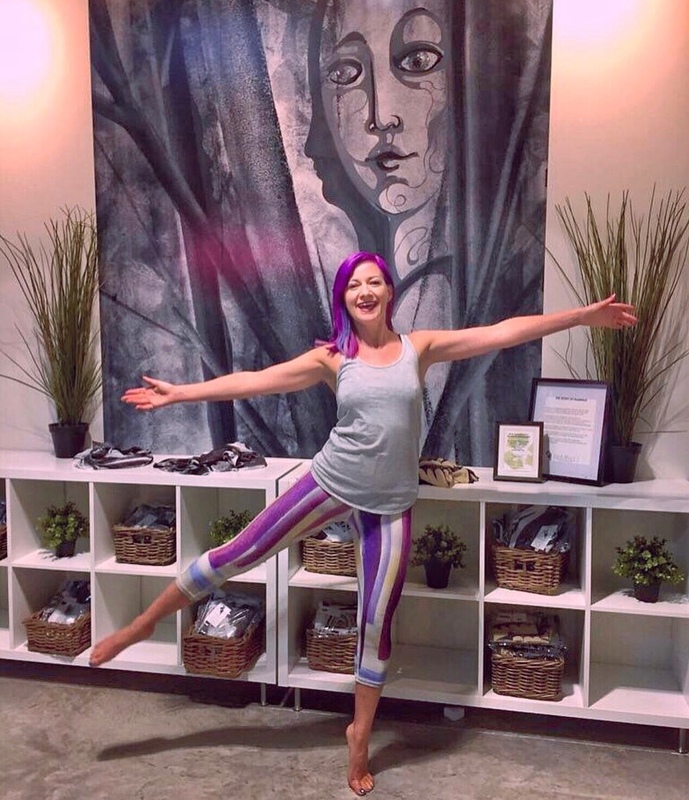 Bamboo tank and “Bri” capris featuring art by the founder’s late mother, Naomi. The day of my happy discovery! Low and behold, my prayers to the shopping gods were answered and I came across NoMiNoU. A store full of the most beautifully patterned leggings and athleisure I have ever seen! With an audible “Hellooo Gorgeous!” I went in and had to know more! These leggings looked like art and felt wonderful. The tags said magical words to me like Made in Canada and recycled materials. An employee found me and I basically said “Who are you?! Tell me everything!” And I was introduced to the founder of the company. 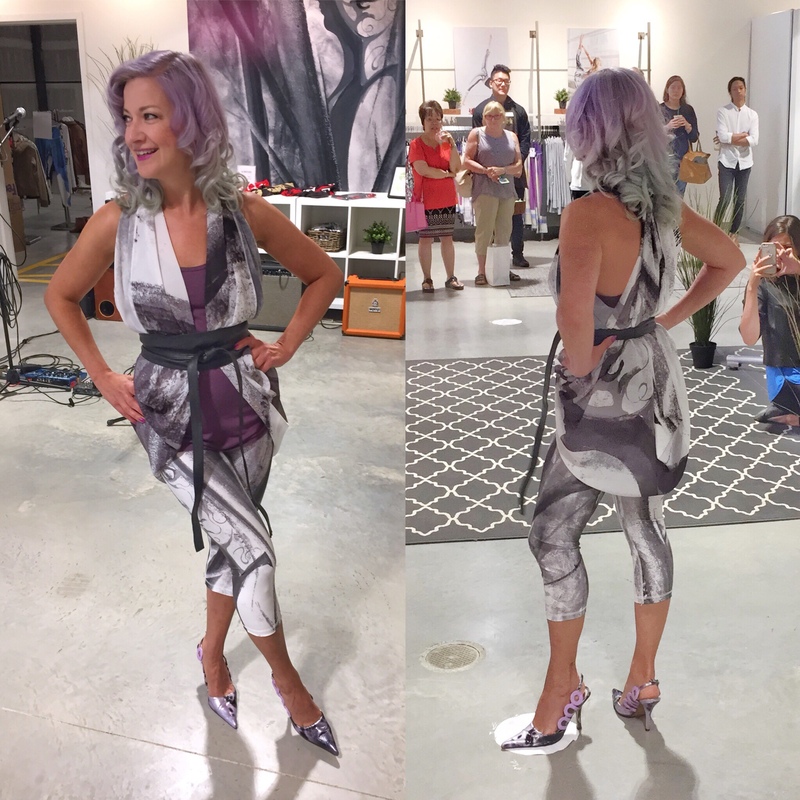 Wearing the “Steph” black wrap and leggings and bamboo tank at the NoMiNoU fashion show in their shop at Outlet Collection Winnipeg. Jullianna Charlton hails from British Columbia and was inspired to create a line of “wearable art” by the treasure trove of paintings and drawings by her late mother that she inherited. NoMiNoU is a fusion of the name of her mother, Naomi, and the phrase “No Me, No You” – a deliberate statement of her belief that we are all one in the universe. Jullianna established the brand, adapting Naomi’s original artwork into designs for each piece in the collection, as well as commissioned art works by indigenous and international artists. As a practice, NoMiNoU Designs pays artists a fair commission price for their designs, and pays them royalties that are among the highest in the industry. Fashion supporting the arts?…already a brand I could get excited about! Basking in the Cuban sunrise in my “Nic” white and black leggings. Then there’s the eco factor. The line is designed, manufactured and printed in BC using only renewable resources such as bamboo, hemp and polyester that is 100% derived from recycled water bottles. I didn’t even know that was possible. To be even more sustainable, they use a printing method called sublimation which wastes less ink than screen printing. Finally, the anti-bacterial, moisture wicking finish, called ChitoSanté is made up of post-consumed crab and shrimp shells. Whaaaaat!? 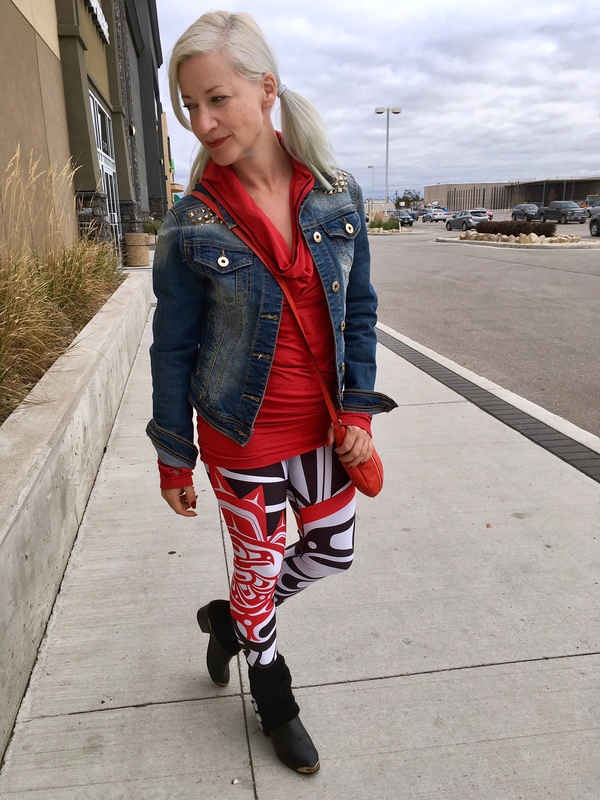 We chatted for ages while I decided to which pair of wearable art I was giving a new home, and they told me about the brand ambassador program. How could I not put my name behind such an amazing company? Super soft Pompei Bamboo Pullover and “Maple Leaf” White leggings featuring art by Eric Parnell. NoMiNoU Designs operated as a pop-up in the new mall for a year after which it was no longer sustainable for them to keep our prairie location open. A number of styles are available at Investment Pieces Boutique, here in Winnipeg but, of course, it’s all available online. And yes, the size chart is accurate! 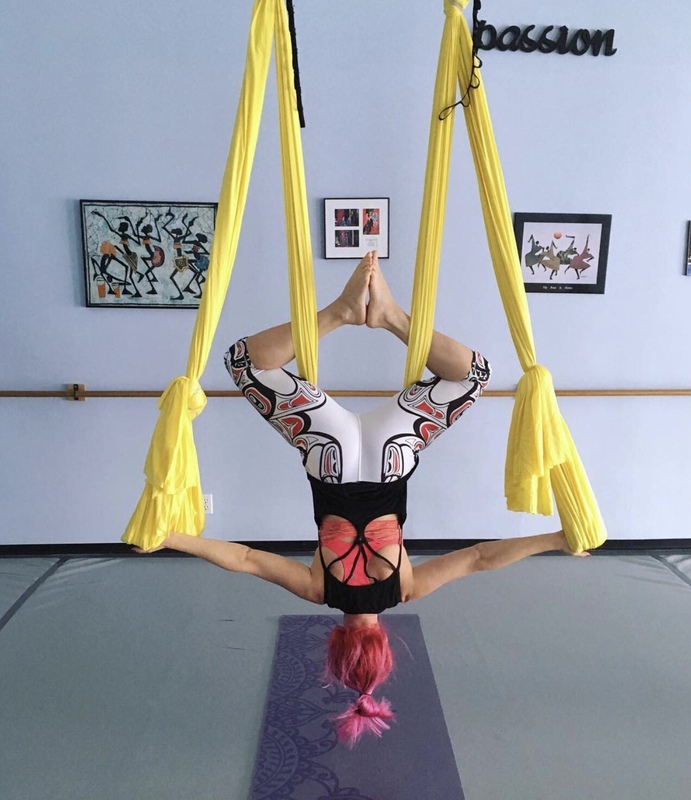 With fellow NoMiNoU ambassador, yogi, Michell Maryk in the “Wolf” Teal leggings and shorts, featuring art by Mark Gauti. Sunset beach shoot at Twin Lakes, Manitoba by Belle Art Portrait. I have enjoyed bringing NoMiNoU Designs into both my active lifestyle and everyday outfits and will continue to talk about them with pride. Plus, through them, I became acquainted with fellow brand ambassador Flexy Michelle! We both thoroughly enjoyed posing with someone our own height for a change. Munchkins unite!